After a long day of work, you look forward to relaxing and unwinding at home with a simple home-cooked meal. Therefore, you contemplate the choice of ingredients you have on hand. In your mind, you can already taste the magnificent meal you have planned. Arriving home ecstatic but greeted by your dull and basic kitchen instead. Feeling a wave of lethargy wash over you, you end up ordering take-out again. 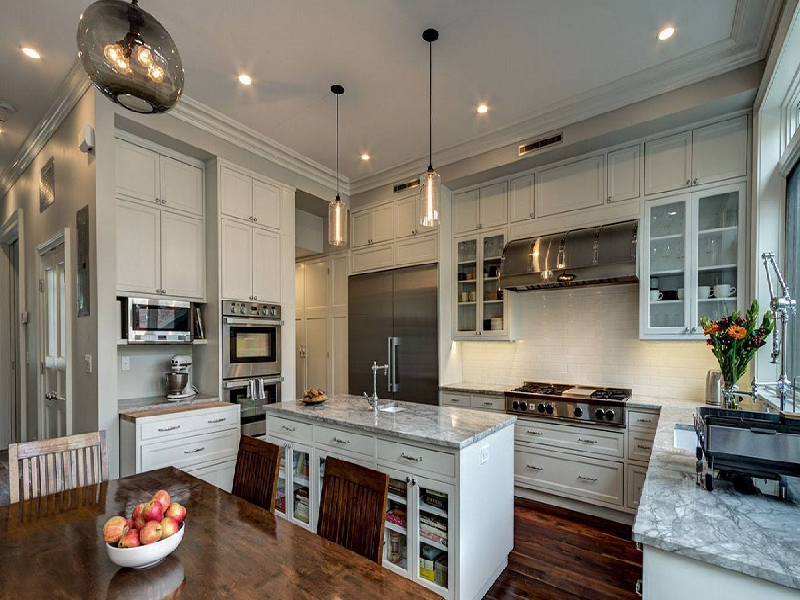 Yes, interior design (including kitchen design) does influence your psychology. As a working professional, we deserve to feel relaxed and comfortable in our own kitchen after a hard day’s work. This can be achieved by making small, simple changes to the colours and layout of your kitchen. Here are some kitchen design trends suitable for the working professional. 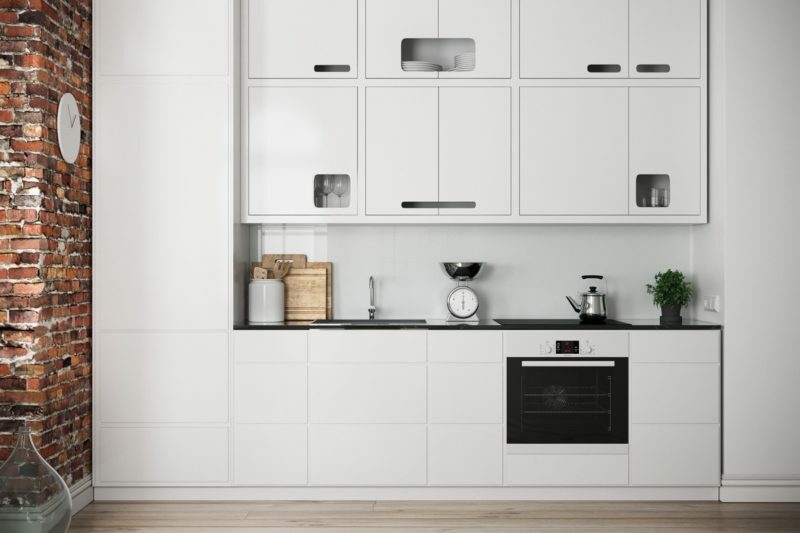 Firstly, tech junkies would absolutely love the concept of a smart kitchen. The Internet of Things (IoT) has made this possible by integrating technology into almost every aspect of the kitchen. 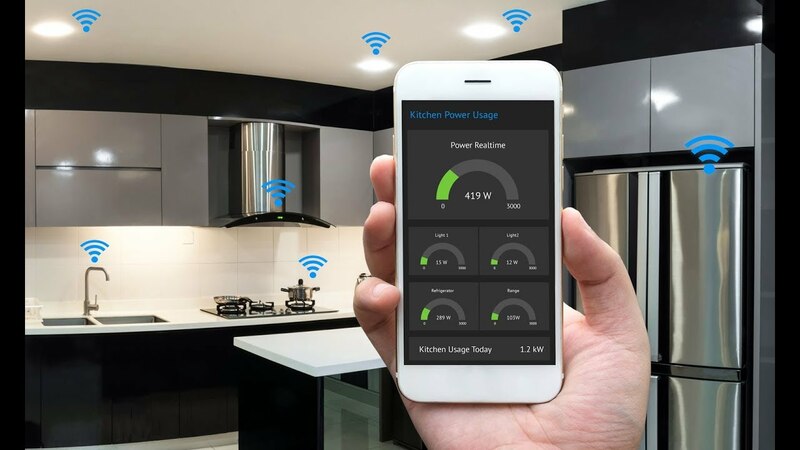 Sensors, smart gadgets, and appliances connected by a network (Internet) make up the bulk of IoT. With IoT, lighting systems are also controllable via your electronic devices. Other add-ons include motion sensor-equipped faucets, refrigerator monitoring systems, or automated coffee makers. Second is colours! Having the right colour is vital in evoking a warm and positive mood in you. Light colours invoke a feeling of openness, whereas the inverse gives off a gloomy feeling. Neutral colours (brown, white, etc.) 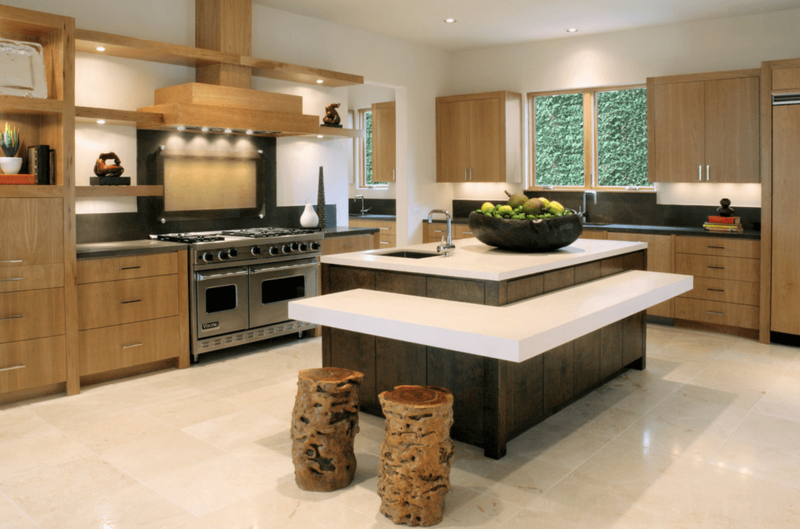 remain a popular choice for most kitchen designs. Warmer colors such as red and pink also remain at the top of everyone’s favourites. The kitchen is the heart of the home, so choosing a perfect combination of colours and textures is key to keep a kitchen from being boring and dull. While not new per se, minimalism remains one of the most popular design trends of 2018. It refers to only keeping the bare necessities, and the removal of anything that is deemed excessive. In other words, minimalism design strives to convey a message of simplicity. In the pursuit of simplicity, the issue of unnecessary waste of space becomes evident. Basic shelves and drawers aids to leave a lot of wasted space. 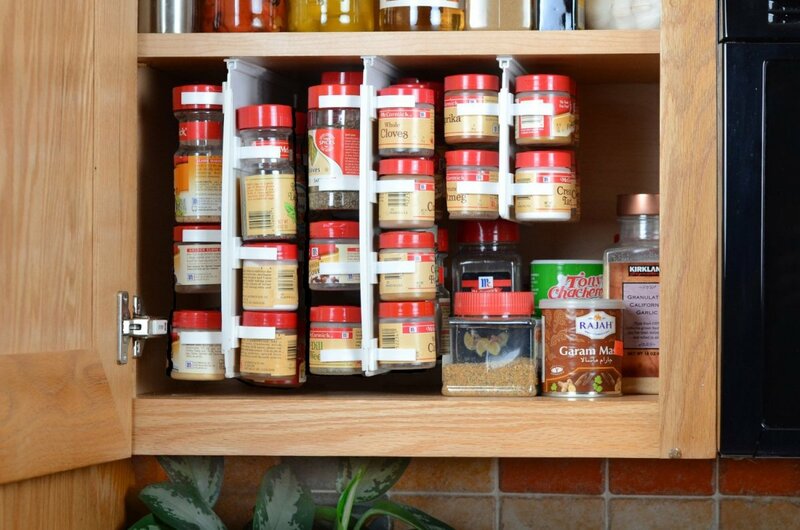 To that end, smart storage solutions have become vital in maintaining the image of a tidy kitchen. 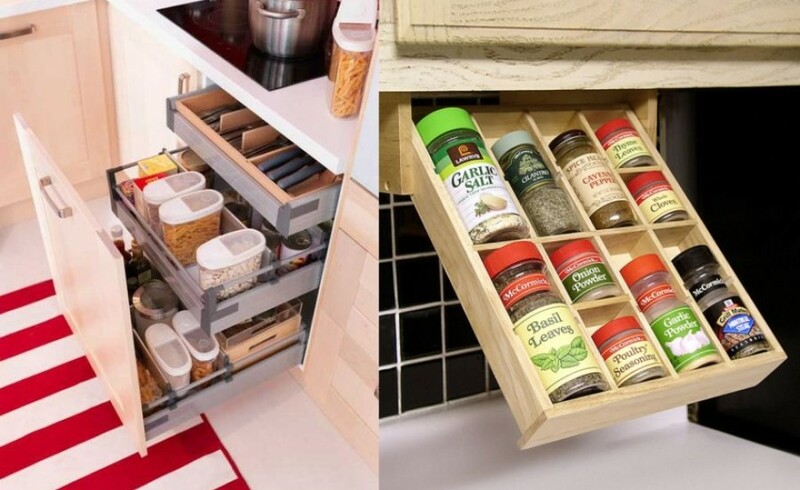 Also, drawer dividers are increasingly in demand for this reason. 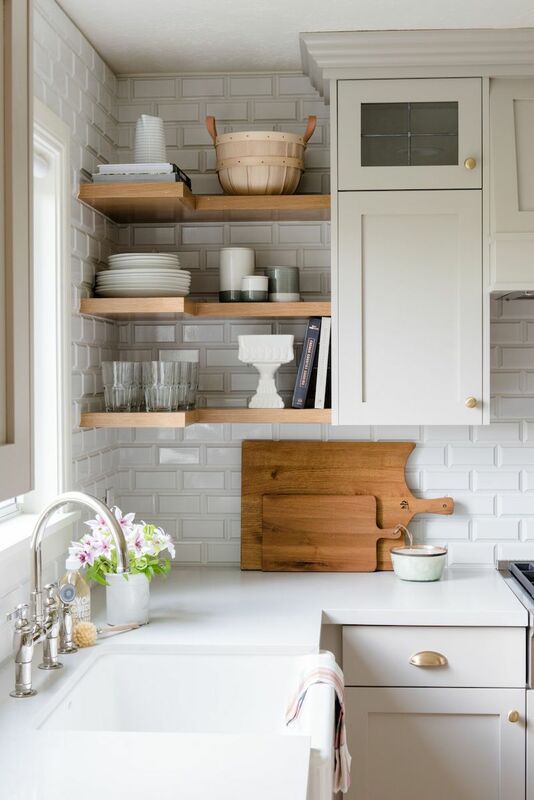 Open-shelving evokes a sense of cleanliness and tidiness. It has become a growing trend among minimalist themes as of late. Removing the upper wall cabinets opens up space. 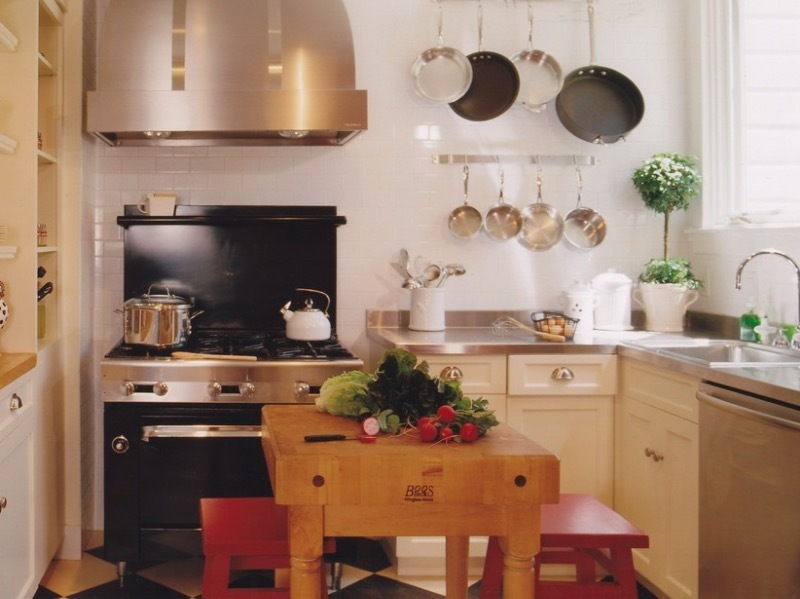 Your kitchen will then appear much larger and brighter. On top of that, it will help increase usage of your kitchen countertop due to space-saving. 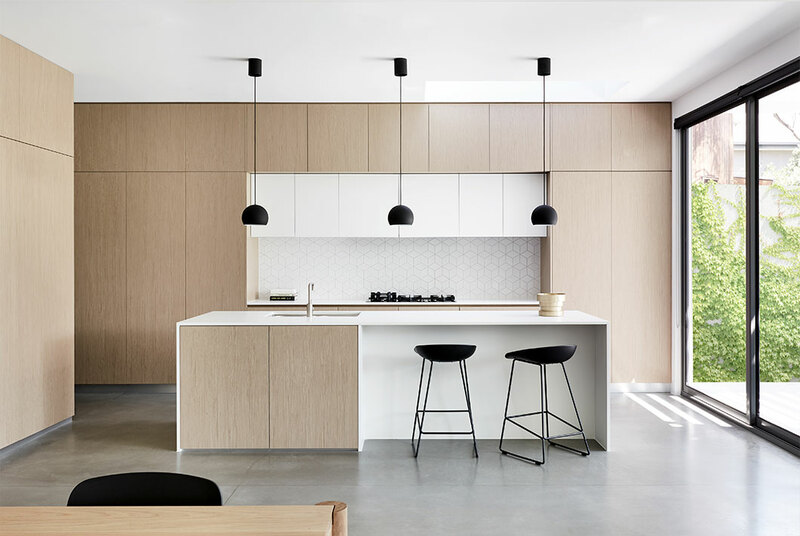 Minimalism allows homeowners to be more streamlined in aesthetic, design and materials, as opposed to the traditional farmhouse and mid-century modern styles. The streamlined design offers a sense of simplicity in the form of a stress-free environment, which will positively affect one’s mood. Consider our open-shelving option above. If you are keen, it’s recommended that natural materials such as wood, or metallic materials such as aluminum are used. Moreover, these materials evoke a sense of nature or an industrial appearance depending on preference. 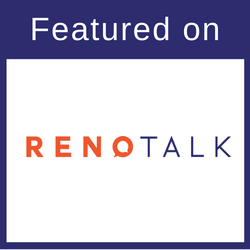 Hardwood flooring remains one of the more popular and traditional choices among homeowners. Though, ceramic flooring has been getting a lot of attention lately. That is to say, modern technology has allowed the ceramic flooring to be manufactured in a wide variety of designs, styles, and sizes. Other than that, certain ceramic tiles may even be designed to look like hardwood flooring, albeit in an easier-to-maintain form. Similarly, ceramic tiles may also be designed to resemble a range of other materials including natural stone or marble. 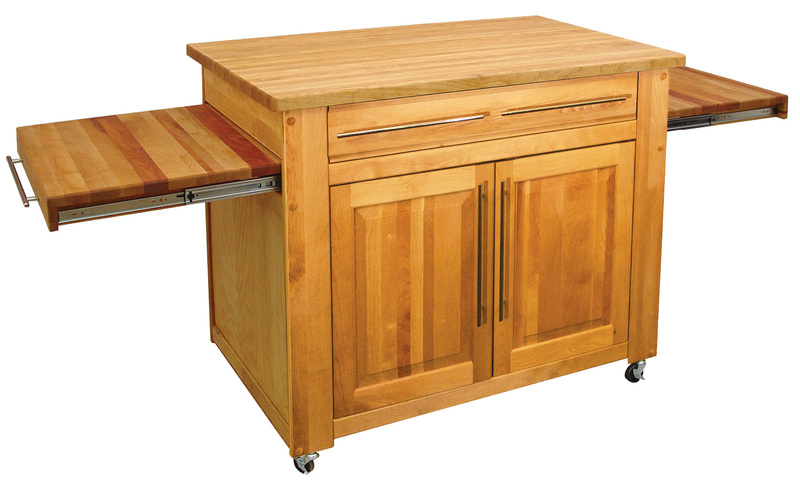 Not to mention, kitchen islands have been gaining popularity as an important centrepiece of the kitchen. Certainly, the idea is that modern kitchen islands act as a hub in the kitchen, and are thus designed larger and to serve many uses. In 2018, the larger kitchen islands will have smart storage solution cabinets. They’re fitted with various appliances and compartments to conserve valuable space. As a result, this will provide a clean and tidy look in the kitchen which in turn forms a soothing environment. Moreover, modern kitchen islands are also fitted with seating to serve as a casual dining and/or drinking bar in the home. Whether you are a neat-freak or a purveyor of a finer things in life, there is no doubt that the kitchen plays an important role in your daily routine. 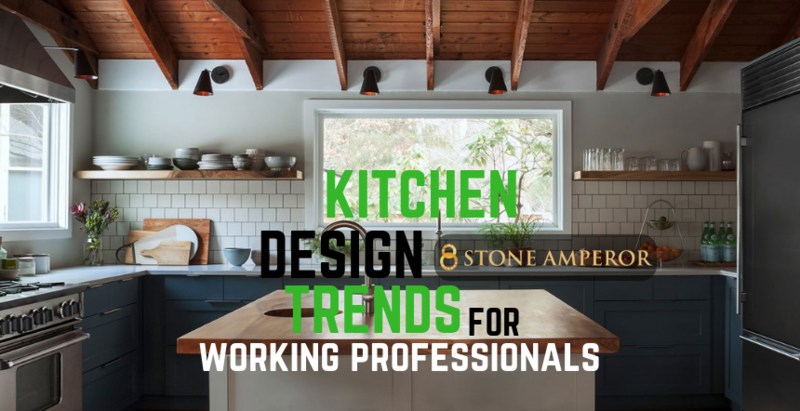 To sum up, these kitchen design trends will likely remain popular among working professionals going forward. Why not spruce things up for the sake of enhancing your positive mindset at the end of a long working day?